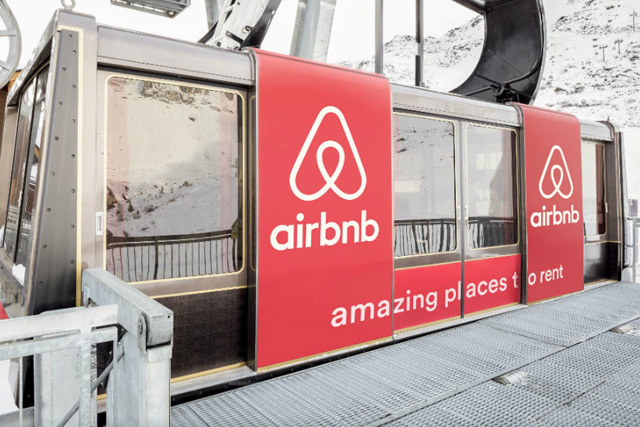 Only last month we noted on Skipedia how Airbnb were targeting French ski resorts, with a goal of having 10,000 listings by the end of the season. 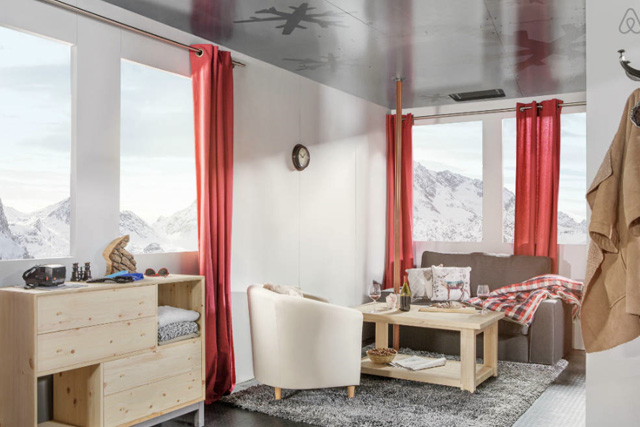 This week however Airbnb have pulled off one of the most spectacular pieces of guerrilla marketing in a ski resort we’ve seen for some time (possibly only Mini’s activity in Tignes beats it). 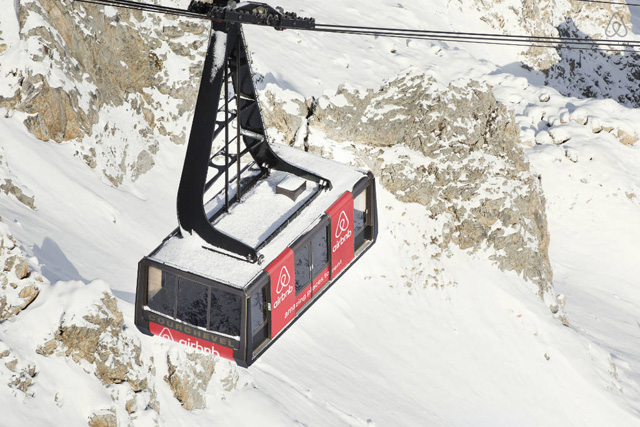 This week the company announced a new competition with a first prize of spending the night in the Saulire cable car in Courchevel. Although only launched yesterday, the competition has already had huge social and media reach. TweetReach suggests that over 300,000 users have seen details of the competition in their timeline in the last two days and activity is still very early on. Pictures like the one below have already been shared more than 1000 times on Facebook. The competition follows Airbnb’s pattern of offering similar spectacular one-off prizes. They have included a night in Paris’ top department store ‘Galeries Lafayette‘ and Ikea in Sydney, Australia. Entry to the Courchevel competition is now available via the Airbnb website. All you have to do is say in no more than 100 words why you would like to win. The winning night up for offer is on March 6th and you must enter before the end of February. Previous postAirbnb Targets 10,000 Listings in Ski Resorts Next postUK Snowsports Market Twice As Large As Thought?